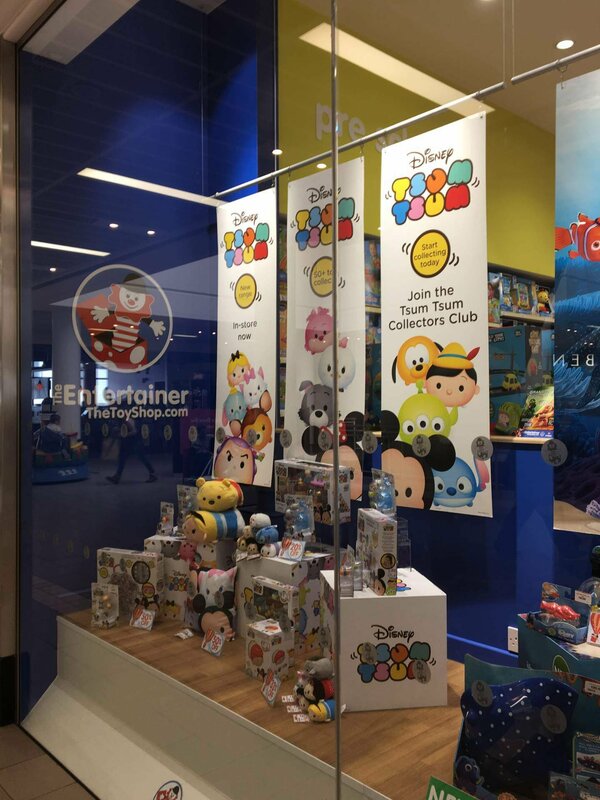 Yesterday I had the really wonderful opportunity to get a sneak peak inside the new Entertainer toy shop in Castle Court. 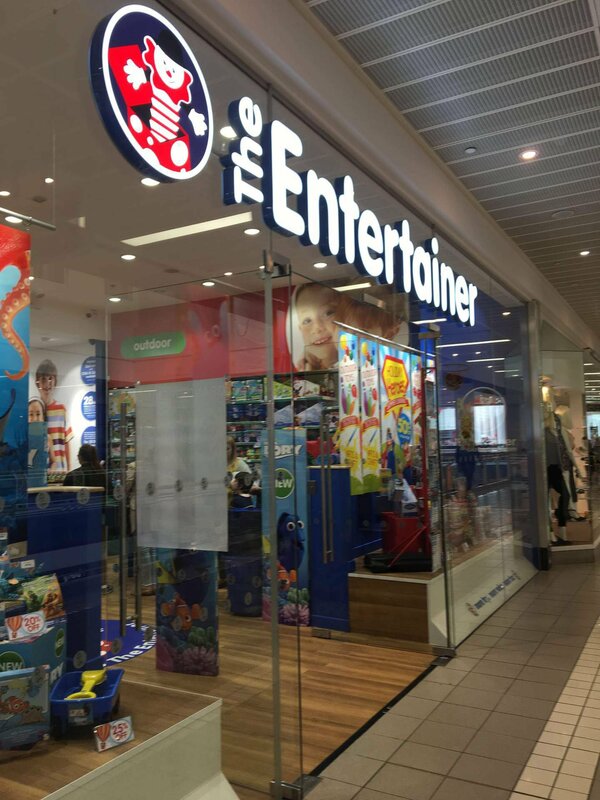 This is the 131st store and a first foray into the Northern Irish market for The Entertainer. You can find the store on the first floor in Castle Court, next to Starbucks, opposite Debenhams. The official opening is on Saturday 13th August at 9am when there will be a lot of exciting things happening. You can expect to meet Lego characters, see product demos and even meet some Star Wars fan favourites. For those of you who buy a Lego toy there will be a free gift and there are balloons and entertainment planned for everyone. The first 15 families in line will be getting an extra special treat in the form of a surprise voucher. The vouchers will start at £5 with one lucky family guaranteed to scoop a £100 voucher. Hello! The Entertainer are a family run company that has been going for 35 years — The first store was opened by husband and wife team, Gary and Catherine Grant, in 1981. As I said, they already have 130 stores across England, Scotland and Wales. The brand is doing really well and seems to be opening new stores all the time. I think a big part of what makes The Entertainer so successful is their commitment to making family the main focus. 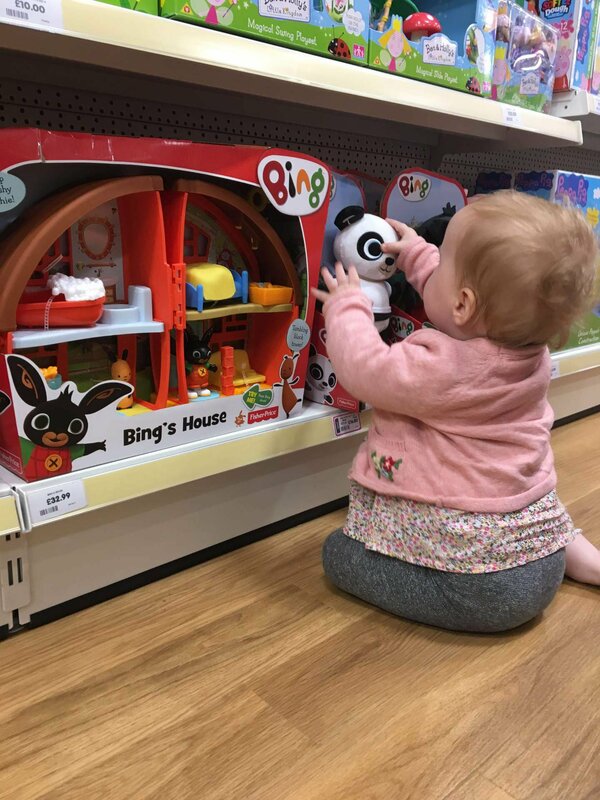 Their stores have never operated on a Sunday, they have a range of impressive charitable programmes, recycling and sustainability is of high importance and all the toys sold are carefully selected to ensure they meet a certain code of ethics. 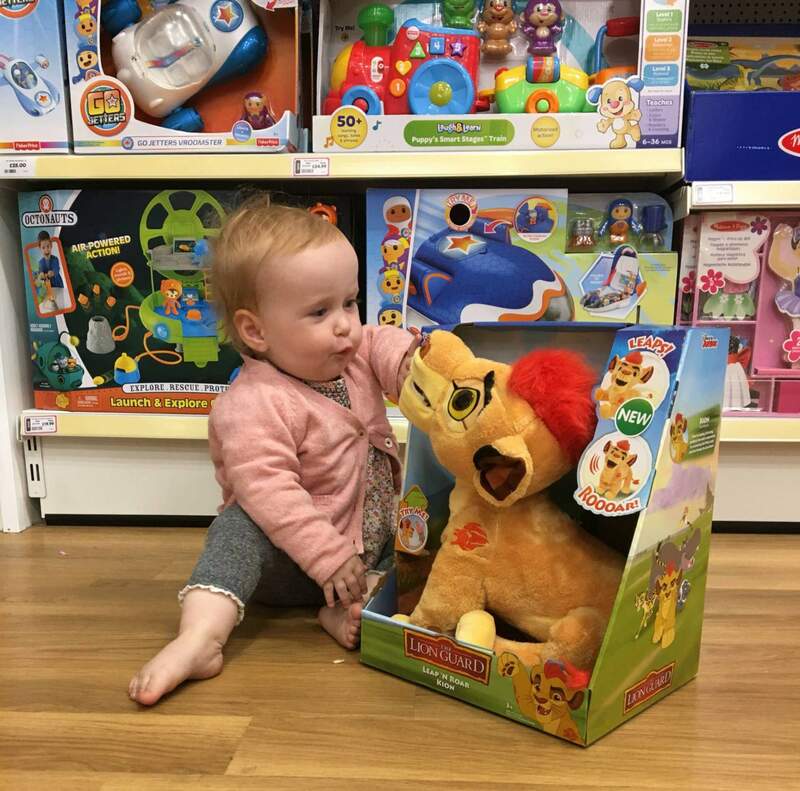 The Entertainer make sure that each and every toy on the shelf is high quality, good value for money and genuinely enriching to childrens lives. As I said before The Entertainer have a big focus on charitable giving –10% of their profits each year are donated. Last year they gave almost a million pounds to children’s charities. They also encourage employees to make personal donations and this scheme has a really high uptake. The Entertainer also try to encourage their customers to give back. They have a scheme where, when you pay by card, you can ’round up’ your payment to the nearest pound and the difference is given to charity. For example if you buy a couple of items and your total is £29.30 you can choose to pay £30 and the extra 70p is given to charity. 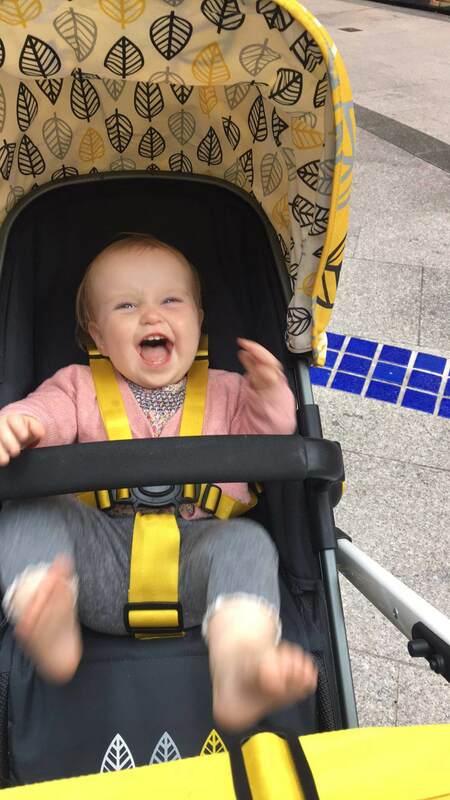 They are the first store on the Northern Irish high-street to offer this service. As if that wasn’t good enough the money raised in this way from each store is donated locally. All of the money raised via this scheme will be donated to the Northern Ireland Children’s Hospice. So, back to the really fun stuff! Luisa and I had a wander around the store today and got to chat to a bunch of interesting people from head office, the marketing team and the actual shop staff. I thought the new store was absolutely lovely. The unit is large, bright and really inviting. Everyone we spoke to was extremely nice and chatty. There’s lots of light, glass and interesting displays. One thing I really appreciate is that the aisles are really wide, you could easily wheel two buggies side by side without worrying about knocking anything over. 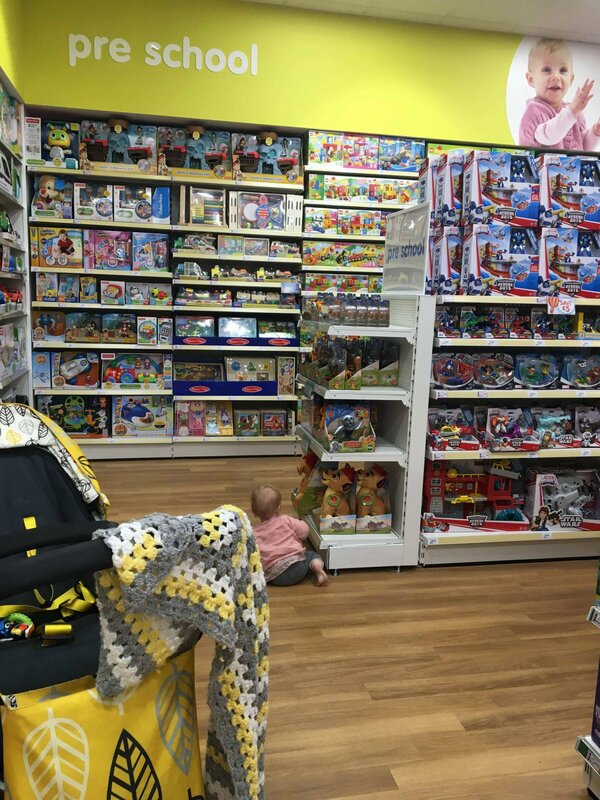 Unlike a lot of toy shops the shelves aren’t floor to ceiling so you don’t have that claustrophobic feeling. Something else that contributes to this is the cleverly zoned areas. The store is divided up, sign posted and colour coded so it’s really easy to find what you’re looking for. 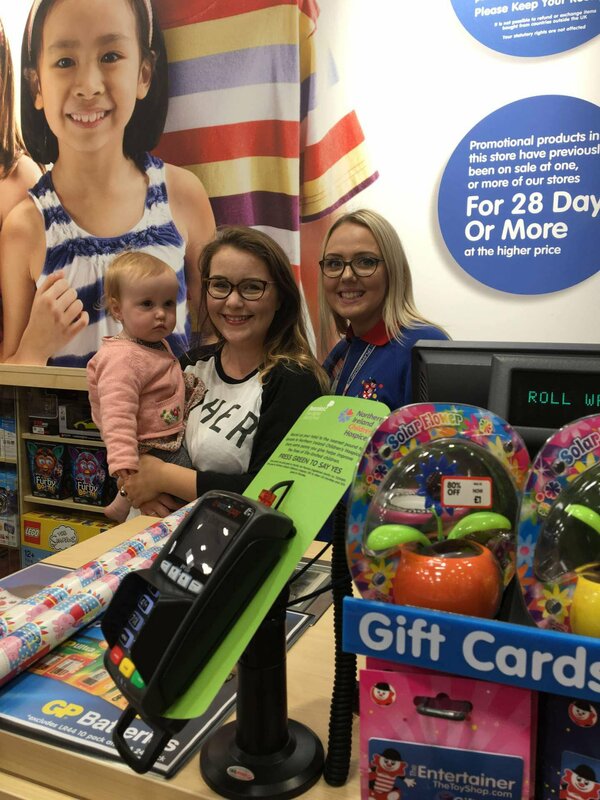 During my tour of the store we got chatting to some of the team about how a trip to The Entertainer is meant to be a real experience for kids. For this reason they make sure to give every little person a really warm welcome to the store. There are always product demos going on and every single weekend there is some kind of free event. Lots of the toys are out of their packaging and playing with them is encouraged. Something I thought was totally adorable was the special kid friendly till points. 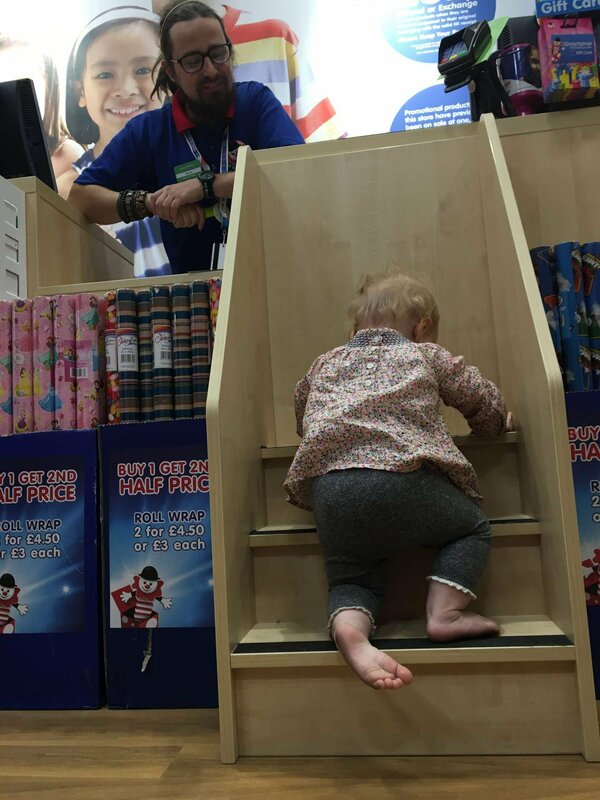 There are a little set of steps at every till so that your kiddo can climb up and pay for their own item. I think that’s a great idea as you can use it as an opportunity to teach children about the value of money and the process of making a purchase. On the topic of money one thing I noticed, both online and in-store, was that the toys are very reasonably priced. The vast majority of bits and pieces were under £20 with many discounted or on special offer. Something I thought was cool is that there isn’t just one version of everything. For example, I’m thinking of getting Luisa a slide for my parents garden. The Entertainer sell 12 different slides from 5 brands ranging in price from £20-£80 — I thought this was fab as it means there is something for everyone. Another great feature they gave is the pocket money corner. 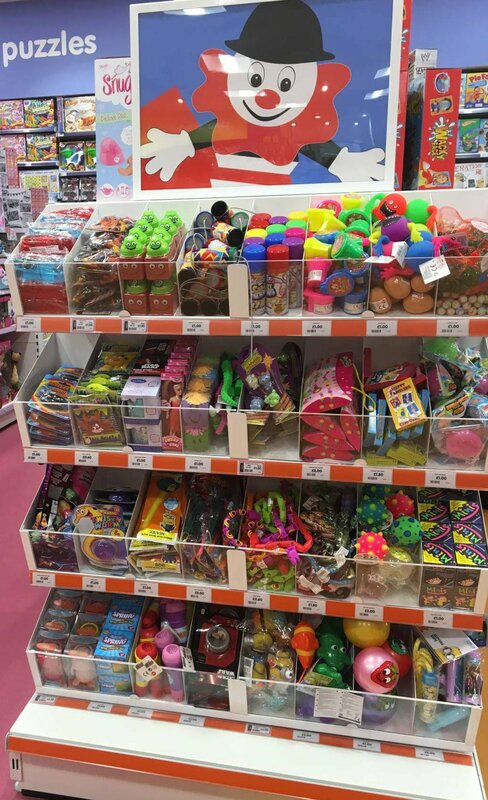 There’s a lovely selection of really reasonably priced small toys — I counted 32 different toys all for £1. 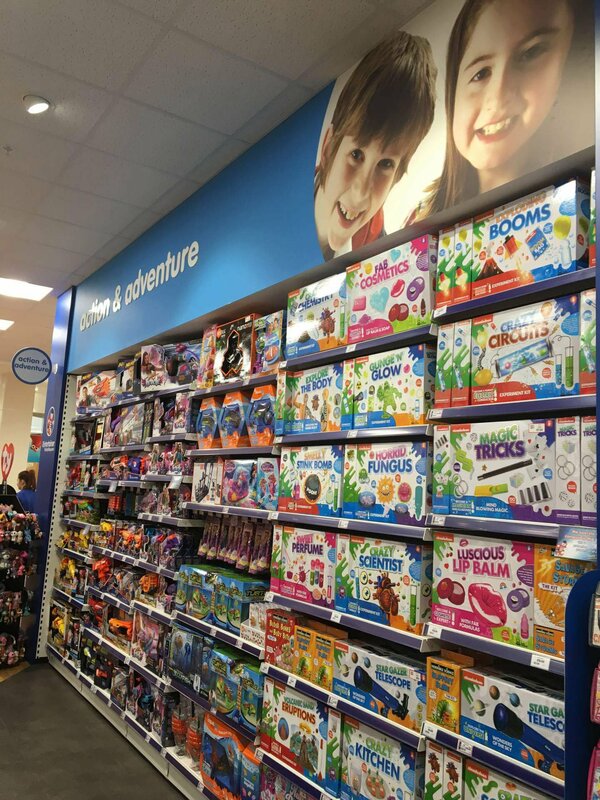 I think this really adds a lot of value to the store because it means you actually can call in with you kids, enjoy some of the activities on offer, have a browse and let them make a small purchase. I know I’ve heard from friends with older children how difficult it can be to walk past a toy shop, ushering grumpy kids along, because you know you just can’t justify going in and spending £10+ per child on a whim. All in Luisa and I both had a wonderful time seeing the new Entertainer store and learning more about the company. I’m really looking forward to going back on Saturday at 9am for the grand opening and I hope to see some of you there. Should you be looking for something to do this Saturday I really think you should come down, enjoy some of the free entertainment and snap a selfie with Darth Vadar. If you spot us please do say hello — I’ll be the idiot vlogging! It’s great that give away 10% of their profits to charity I never knew this! Looks like its going to be a great new store ivd MIT been to our local one for ages! What a fabulous ethical company. 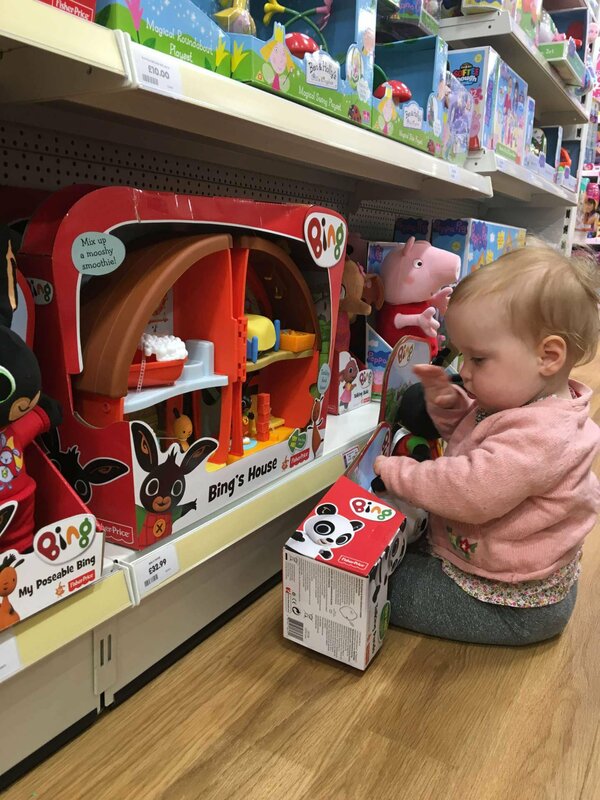 I do try and shop at a specialist toy shop when I buy presents for my godchildren – it really helps to have specialist staff. My favourite part is the little stairs so kiddies can pay! Oh the Entertainer is brilliant, where I am originally from there was one near me and its the perfect store for kids. Looks like a perfect store for kids! I love this store, didn’t know it was family run though. Makes me like it even more! I love that they ahev a pocket money section as like you said its not easy just spending a load of money every time you are near a toy shop!